You may be wondering what exactly one might pack to spend a year in another country. 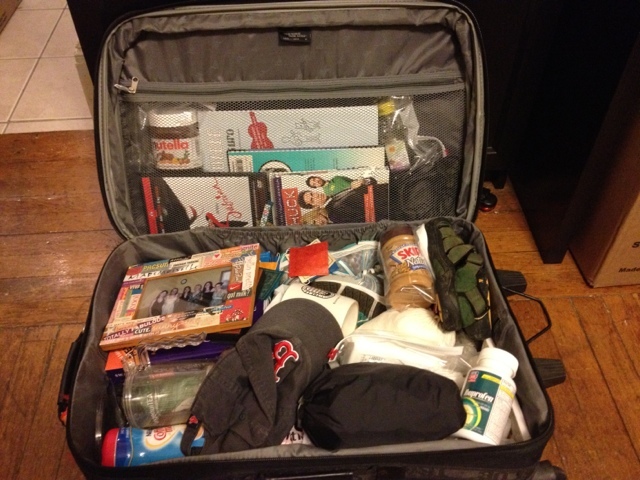 Here's a peek at my suitcase full of crap (I have another filled purely with clothes). Let's play a game called "Spot The Essentials." Obviously peanut butter, nutella, and ibuprofen. As it should be. What you can't see is the ground coffee and plastic french press. We all have our vices!